Dusko Goykovich - tp, Derek Humble - as, Karl Drevo - ts, Francis Coppieters - p, Jonny Fischer - b, StuffCombe - dr, Kenny Clarke - dr. Previously unreleased radio sessions 1958-1961 in Cologne, West Germany. 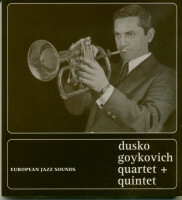 During his career Dusko Goykovich built his own style recognizable for the preciseness and brilliance of his technique. His warm sound is like a mirror of half a century of jazz history. Goykovich set technical standards and played with all the greats of the genre. Since 1955 he has been a formative influence on the German jazz scene and beyond, performing and recording with artists such as Dizzy Gillespie, Gerry Mulligan,Stan Getz, Sonny Rollins, Lee Konitz, Chet Baker, Woody Herman, Johnny Griffin, Mal Waldron, Phil Woods, Tommy Flanagan, Kenny Clarke, Kenny Barron and many more. He is highlyadmired in the USA and Japan, and is best known for his unmistakably melodic phrasing and his high-class ballad renditions on the trumpet, muted trumpet, and flugelhorn. 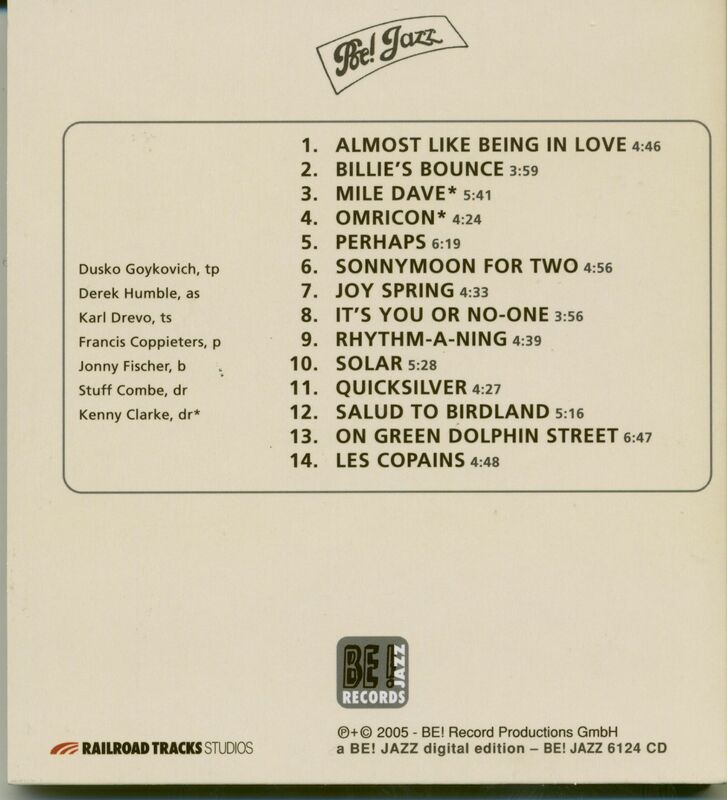 Évaluations de clients pour "European Jazz Sounds (CD)"